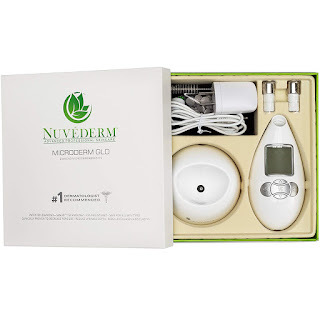 Get a healthy glow and younger looking skin with the Microderm GLO Diamond Microdermabrasion System by Nuvederm Facial Treatment Machine. The Microderm GLO is designed to gently exfoliate your skin to remove dead skin cells and promote increased blood flow to the epidermis to help rebuild collagen and elastin to leave you with a healthier natural glow. 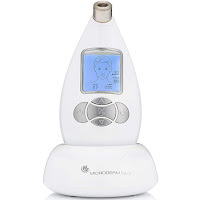 The Microderm GLO Diamond Microdermabrasion System comprises of a simple-to-use handheld device which combines the action of diamond-tip exfoliation with gentle suction power to remove the outer layer of skin and vacuum away the dead skin cells. 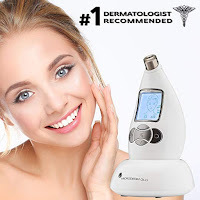 Regular treatment with the Microderm GLO Microdermabrasion System can help to smooth out fine lines, reduce wrinkles, blemishes, dark spots, minimize pore size and more for improved radiance and smoother skin. 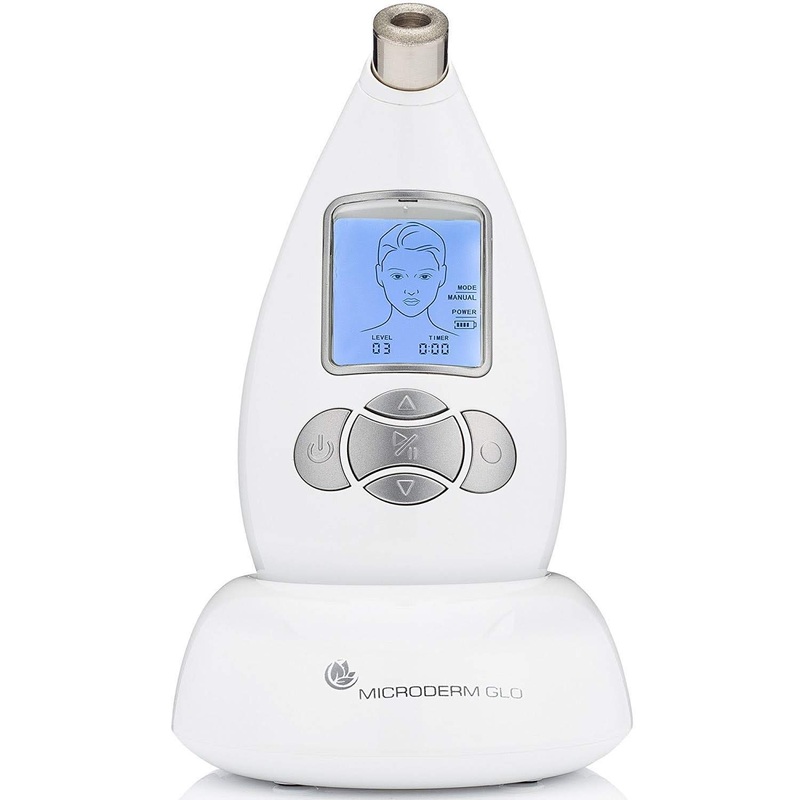 The Microderm GLO Diamond Microdermabrasion System utilizes patented Diamond Safe 3D technology that’s engineered for salon-quality results in the comfort of your own home, saving you $$s! It’s safe for all skin types and is dermatologist recommended. 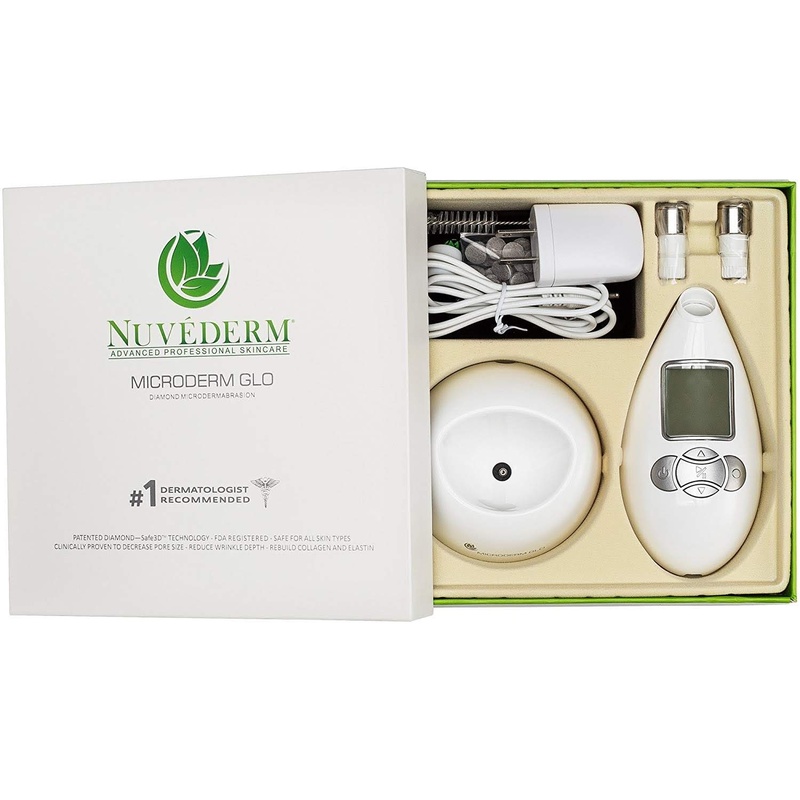 You can use the Microderm GLO in either Manual Mode or Auto Mode – the Auto Mode features a countdown timer and displays directions on the area of the face to treat. 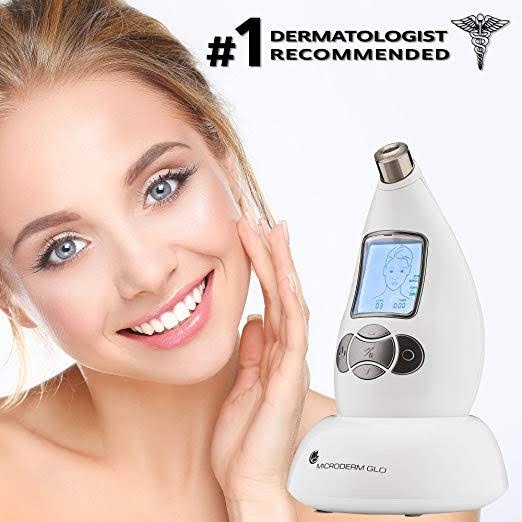 The Microderm GLO comes with a Premium Diamond Tip and a Massage/Circulation Tip and offers 3 vacuum suction levels with a maximum suction power of 22 in/hg. Although microdermabrasion is typically used on the face and neck, it can also be used on other areas of the body as required, for example on the hands (recommended to do a small test patch first in all cases). · It’s recommended to do a test on a small patch of skin before performing a full treatment. · Start off gently & slowly – start on the lowest setting and stroke no more than two times over each area on your first treatment. · Because dermabrasion removes the outer layer of skin, you may experience slight discomfort, light bruising or redness after treatment which is normal and should subside after 36 hours. N.B. It’s advisable to consult your doctor or health care professional before undertaking any new skincare or health regime.